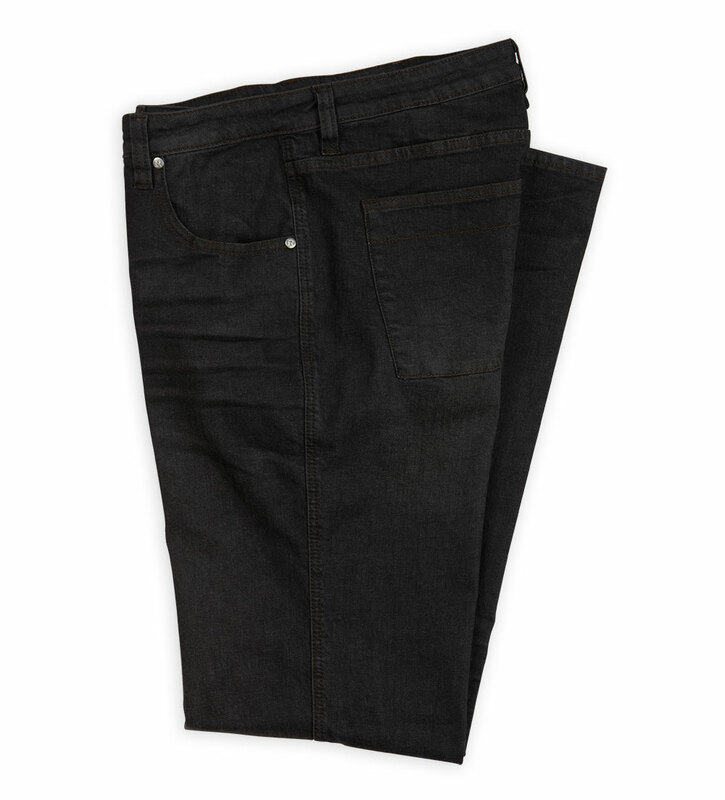 10.25 ounce stretch right hand twill denim in a black blue weave with light slub. Five pocket styling with light handbrushing and whiskering and crinkle finish at hem. Road hardware. Standard fit: Mid-low rise, straight through hip and thigh, straight through leg. 99% cotton, 1% elastic stretch. Machine wash. Imported.